From the moment you step through the magnificent double doors to the Spa, calming music and the serene atmosphere set the tone for your experience. Andrew Fairlie is one of this country's most celebrated chefs and, with two Michelin stars, his exquisite restaurant is a sumptuous setting for a meal that will live long in the memory. From the beginner to the expert, horse riding at Gleneagles offers a new level of instruction, of experience and of enjoyment. 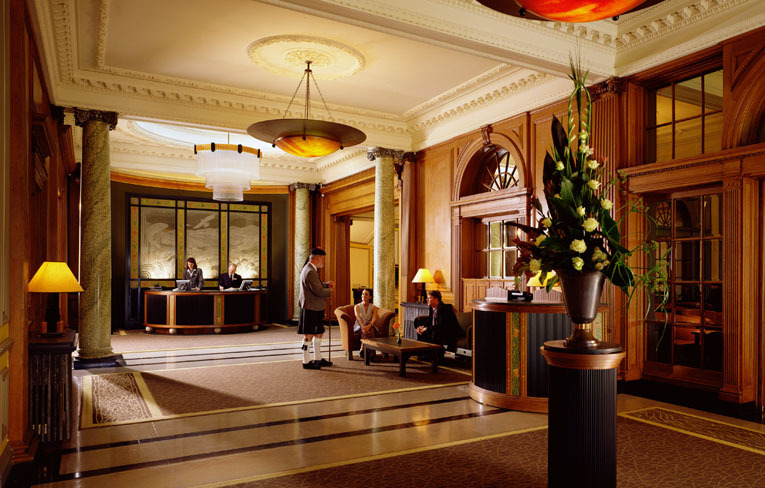 The Gleneagles Hotel is one of Scotland's finest luxury birthday party venues. Regardless the age, Gleneagles can create a party that you, your family and your friends will remember forever. 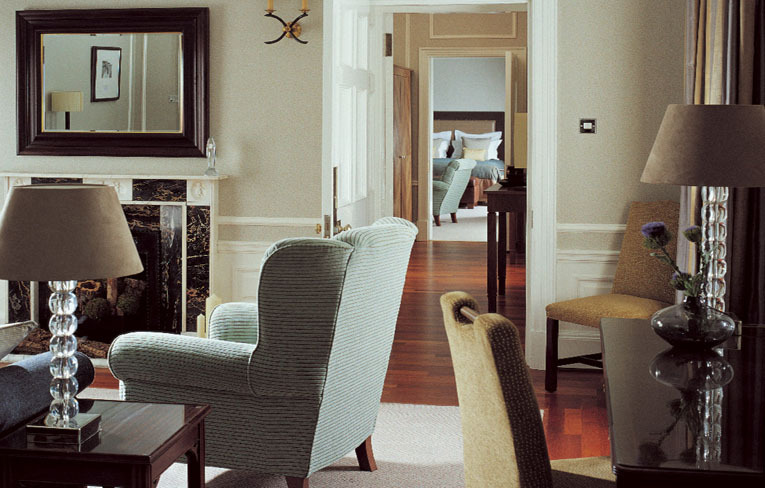 Gleneagles is one of the world's grand resorts. 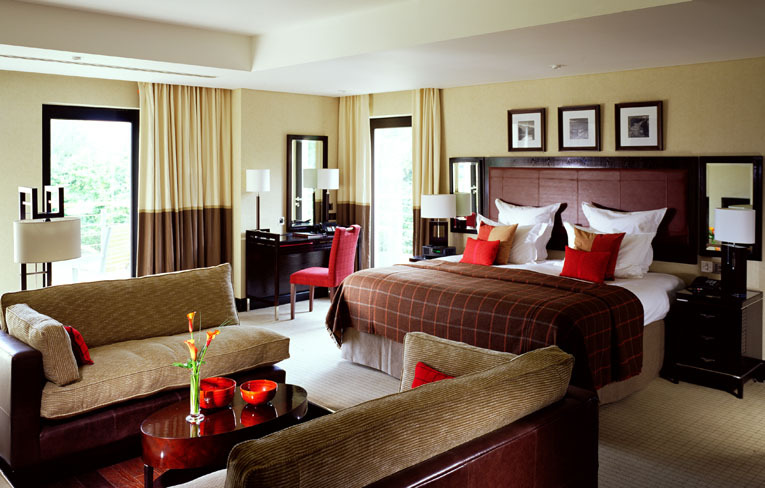 Yet each and every one of its 232 luxury bedrooms and 26 suites has the individuality of an intimate hotel. 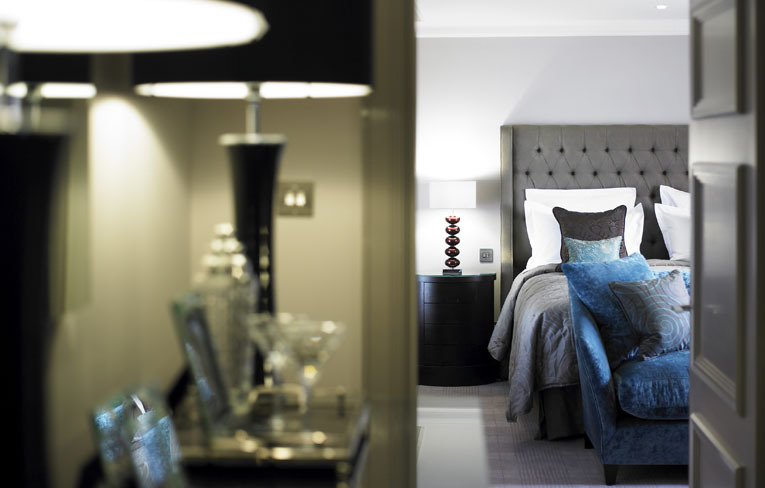 Choose from traditional or modern interiors, many with fine open views over the hotel grounds. 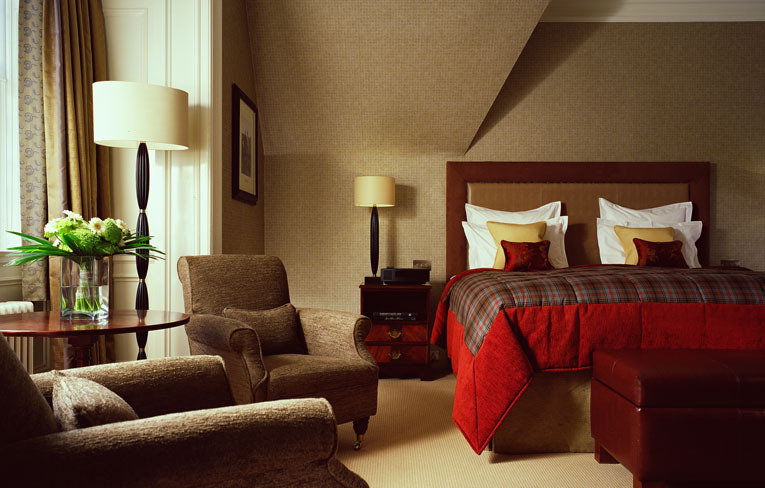 The luxury suites bring together all that is distinctive about Gleneagles. Each one is unique, in design, layout and spirit. What they share is a feeling of space and grandeur. Not everyone wants to spend their time on the end of a golf club, fishing rod, gun barrel, riding rein or falconer's glove. For some, a holiday is a chance to have a break from the everyday routine, to relax, to be pampered. 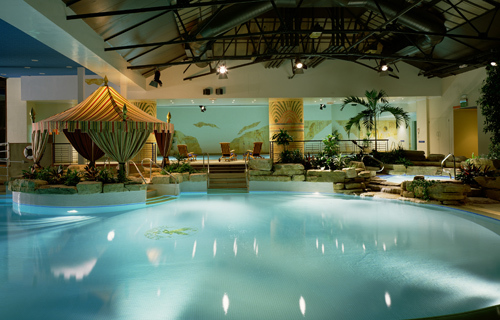 You can swim in one of the two pools, exercise in the gym, enjoy a sauna or indulge with a treatment in The Spa. 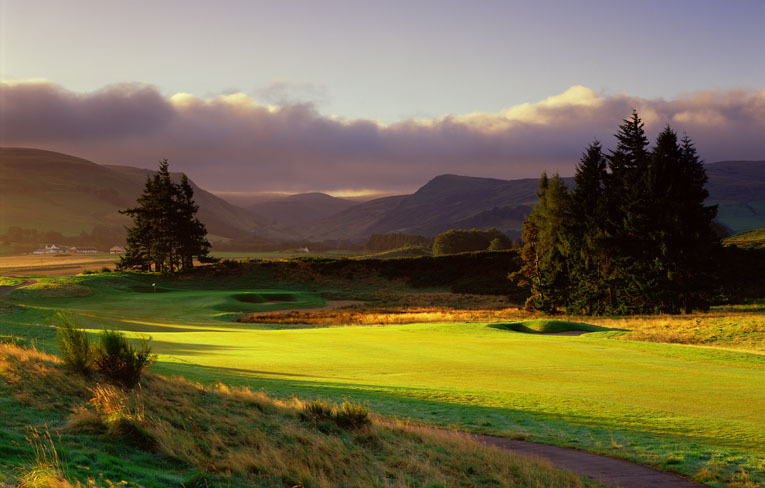 Gleneagles is one of the most famous names in world golf. With three championship golf courses, including The PGA® Centenary Course Host Venue for The 2014 Ryder Cup, the resort is home to some of the game's finest holes, with challenges aplenty for beginner and pro alike. 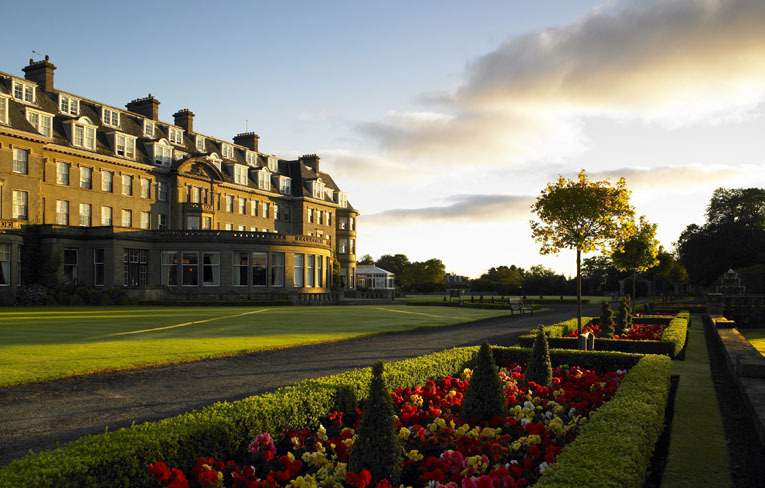 When the Gleneagles® Hotel opened in 1924 it was described as 'a Riviera in the Highlands' and 'the eighth wonder of the world'. 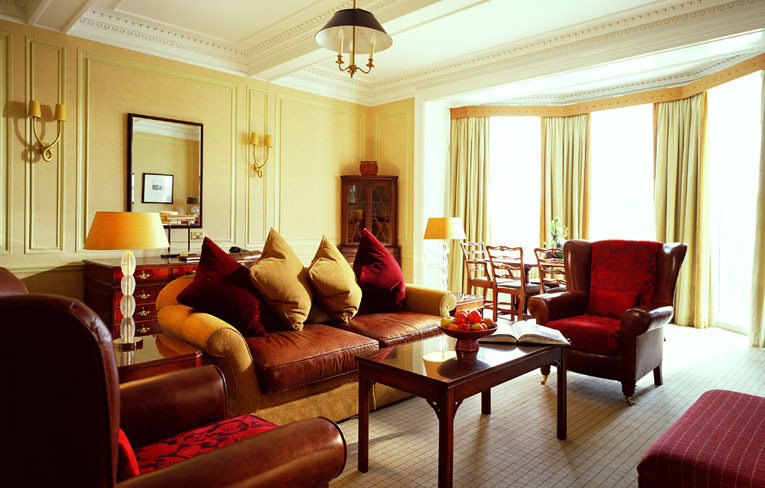 Today, this luxury hotel remains dedicated to excellence, just as it was in its earliest days when "the avowed intention of the management is to create happiness". 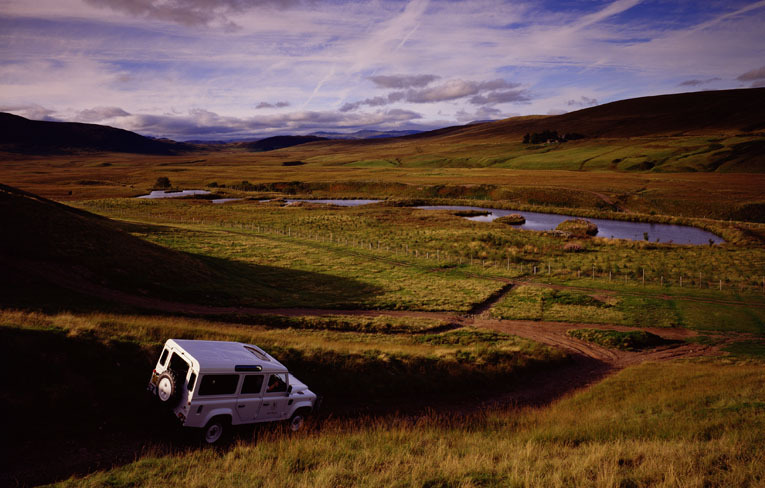 Leave the manicured lawns of one of the Leading Hotels of the World and test your off roading skills in handling a four wheel drive vehicle over two of Scotland's most testing 4x4 off road driving courses.